Dull, largely grey-brown duck. Male has finely speckled grey head, heavier speckled grey breast, dark grey bill, grey-brown upper body, white belly, black rear; white speculum in both sexes diagnostic. Female has buff-brown head, orange-sided grey bill, mottled and scalloped brown body. Eclipse male similar to female, but paler grey and less mottled. Gregarious, but shy; sometimes in small mixed flocks; surface feeder, often up-ending. Rivers, lakes, marshes, vegetated wetlands. mainly aquatic plants, sometimes small aquatic animals. 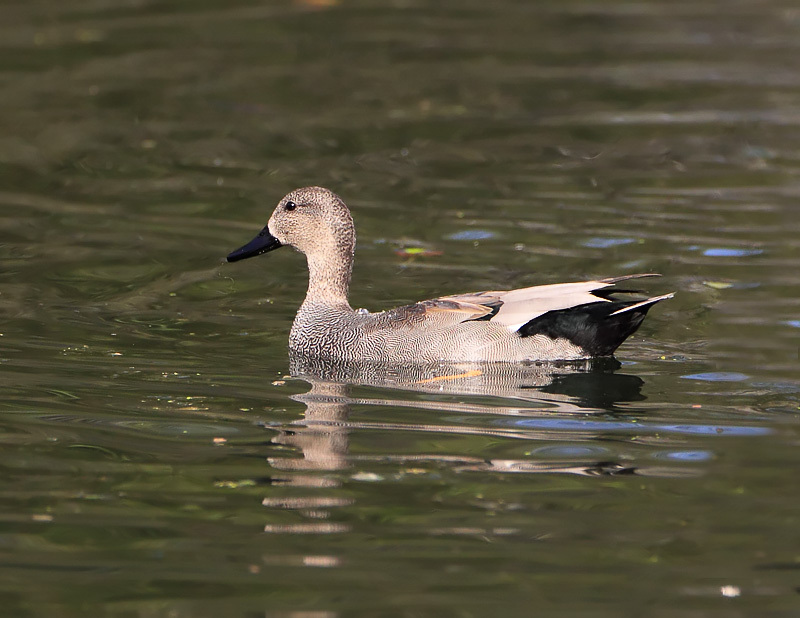 Male – usually a soft single-noted whistle; female – louder quack.